Hawthrone extract and shea butter reduces itching and irritation and give the hair a healthy and moisturized effect. 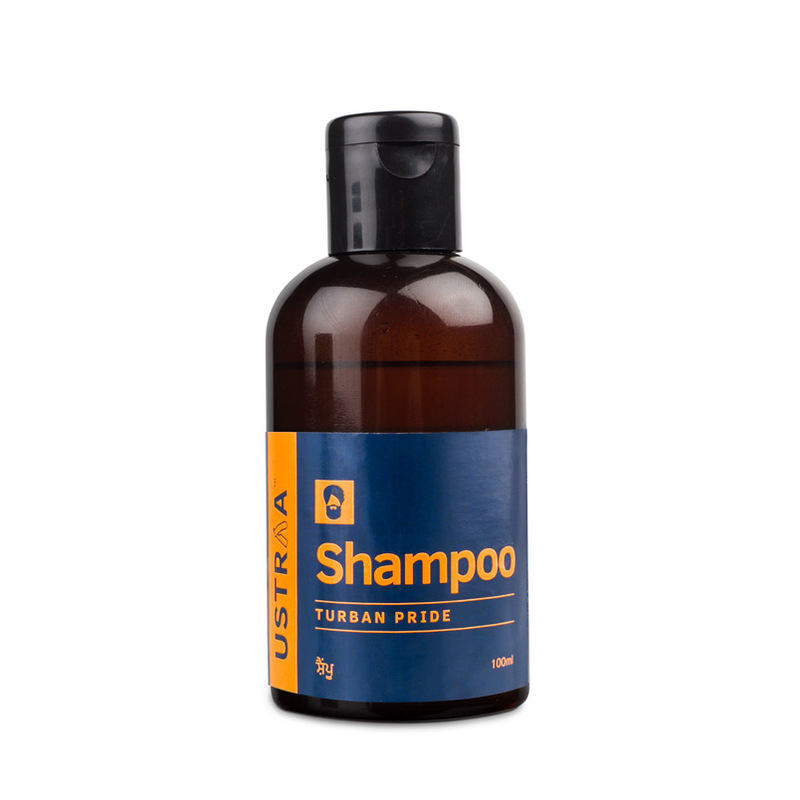 The Turban Pride range of Ustraa is specially formulated for our sikh brothers, because it is about time somebody addresed their problems in a meaningful way. This is a strong shampoo designed for maximum effectivity during the headwash routine. If for some reason the hair can't be washed everyday this shampoo makes sure the hair stays healthy even on a weekly use. This product is completely paraben and sulphate free. How to Use : Wet your hair. Take shampoo on palm, add some water and merge to form foam. Apply onto hair and massage for 1 min. Wash it with running water. Reapply if needed.